Brief Synopsis – A young boy enters a library to stay dry during a rainstorm and gets much more than he bargained for. My Take on it – This is a film that I recall seeing with my 4 year old nephew 23 years ago and enjoyed it a lot. Watching it now, I still enjoyed the film a great deal but was a bit put off by the way that the animation looks quite archaic. The voice work here is great and Macaulay Culkin, Christopher Lloyd, Patrick Stewart and Whoopi Goldberg all are perfectly chosen for their particular roles. I really love the message of this film because it’s so universal. The idea of a story presenting the importance of literature and of the imagination is a great one that is so powerful. Unfortunately, I’m not sure how such a film would be embraced by today’s youth who prefer modes of instant gratification from a cellphone, text message or even email as opposed to spending hour upon hours entrenching oneself in a good book. I don’t have as much time to read these days as I use to, but when I do, it’s hard to pry me away (even with a movie) because of the richness of most texts. I do miss the days when I had the time and luxury of cutting off the world and reading to my hearts content and I fear that it’s something that will be harder to come across with today’s teens or most of the ones that will come of age n the future. Bottom Line – Great idea eventhough the animation looks too archaic. The use of Lloyd, Culkin, Stewart and Goldberg as the voices works really well throughout. 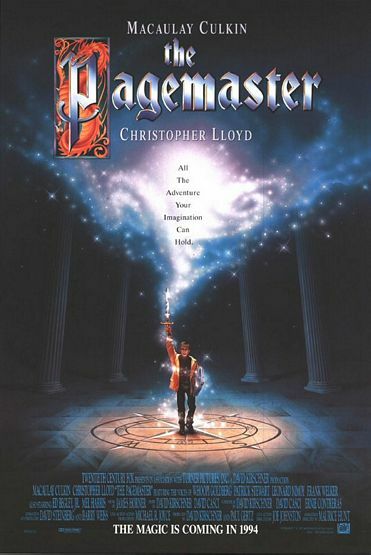 The message of this film is a great one about the importance of literature and our imaginations but unfortunately, it probably wont be able to influence the youths of today who are much more interested in instant gratification from cellphones and computers instead of spending time diving into a good book. I do miss those days… Recommended!